adventure. So today was an interview with the agency in Washington, DC. pinstripe ‘power suit’ and sensible shoes, of course). lived in Washington, DC and I was is superb physical condition too). I came upon the view of the White House! 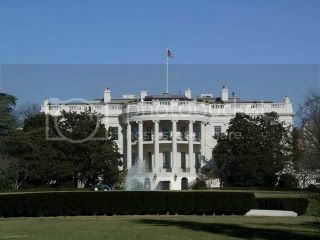 where the President of the United States of America lives! WOW! As I approach to walk behind them, the young man with the microphone stops me and says, “excuse me, I’m from German television and would like to ask you a few questions.” I reply, “Sure, why not.” He proceeds to ask me if I’m familiar with the Smart Car, to which I reply yes I’ve heard of it. 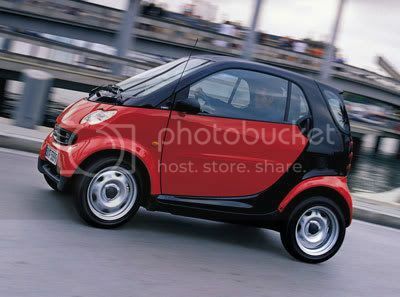 He then hands me a picture to study and asks me if I would drive one. discuss. Ha, I feel like such a nerd. 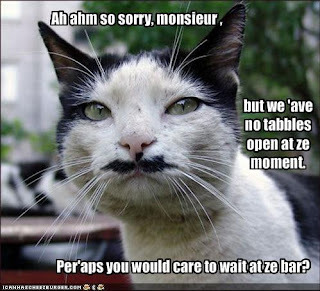 (tee, hee, hee). the sun and warm windy air and a bit of an adventure to Washington, DC. and I’m off to the dance studio to dance (must put a band aid on that heel blister first…ouch!) and take some photographs of some vintage gowns I’m trying to sell. Now, you might ask me why I’m going the route of temporary employment. paid to do it too! I hope you like my story today and hope you’ll be interested in following me on my journey through my blog. PS I'll come back later today and add some of my pictures. 1. Doesn't everyone do impromptu ballet in street clothing? I didn't consider embracing my inner child until I was over 40 years old. The concept for me was realized after a conversation with my husband (14 years my senior) who suggested that I embrace my inner child. His advise stemmed from me stating that I had been trying to murder my inner child all my life. I stuffed it deep down inside of me and denied it's existence so I could be a SERIOUS adult. The problem? I wasn't as happy a person because the adult side of me NEEDED to acknowledge the very real existence of that wonderful inner child. That concept changed my life. I found a way for the SERIOUS side of me to be more in control in a positive way. Have the adult side calm and nurture the inner child when it was scared. By acknowledging the inner child the adult side was allowed to be in control because the inner child was happy to be acknowledged. I'm sure it sounds like split personality, and for me it IS a bit like that. I suppose my strange thinking is a coping mechanism as a survivor of abuse. The inner child was a strong force in me. Unfortunately too strong. I needed to find a way to nurture, validate and calm the scared inner child so I could have a more harmonious existence between the adult and the child-like side of me. 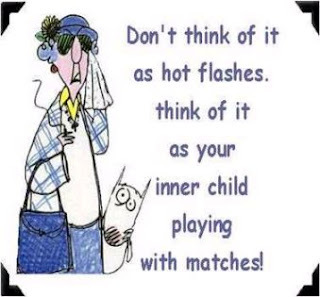 Well I happen to be Post-Menopau sal with a few hot flashes thrown in, so THAT picture is so VERY appropriate for ME! Have you ever notice how GOOD you feel when you laugh? Do you remember laughing so much you can't breathe, have to hold your sides, tears run down your cheeks and you nearly wet yourself? It is VERY good therapy to laugh. It's equally important to laugh at ourselves. After all we are only human. We're quite infallible in fact. Why do you suppose those rubber tips (called erasers) were invented and put on the ends of pencils? Because we are NOT perfect and we make mistakes, that's why! One way to embrace your inner child is to practice 'pause moments'. You know moments of truly reflecting on THAT exact moment that you're in and how wonderful it is. Life can be such a rat race, that we forget to stop and enjoy the beautiful of simple things in life. So sit at the bar of life, take a sip and reflect. Have positive conversations with yourself. Work on positive reinforcements to change negative programming and negative ways of thinking and acting. Try practicing Wealthy Thought-forms INSTEAD of Poverty Thought-forms. 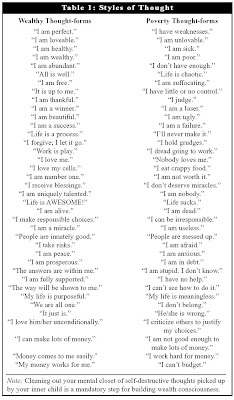 This is a form of positive reinforcement by changing a pattern of behavior to say positive statements to replace negative ones. Remember, it takes more muscles to frown than it does to smile!! Saying positive things will help you feel and act more positive. -Try to see the glass as half full (not half empty). -Try to focus on the positive side of a situation. Can you think of other ways to practice positive reinforcements for yourself? I'm positive that YOU can! I hope to be a motivational speaker someday and help empower women to learn to embrace THEIR inner child too. I'm also writing a series of books for tweens about a little yellow bird and his great adventures. The book started out as one and turned into a trilogy! I'm also an administrative organizational manager who aligns people and projects. I hope to obtain an advancement degree and/or certification in the near future in organizational or change management.